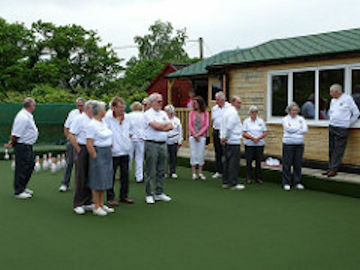 "We welcome players of all abilities and ages, whether wishing to learn the game, or just to enjoy all year round outdoor bowling on our ALL WEATHER rinks. Our new surface is specially designed to give the speed experienced on grass. Touring clubs are encouraged to try out our synthetic green and see how well it compares to real grass. 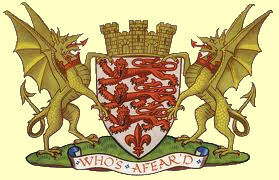 Our Club members will do their best to ensure your visit will be both a competitive and enjoyable experience." To find out what's going on at our Club please click on the picture button above to open our latest Club Bulletin. 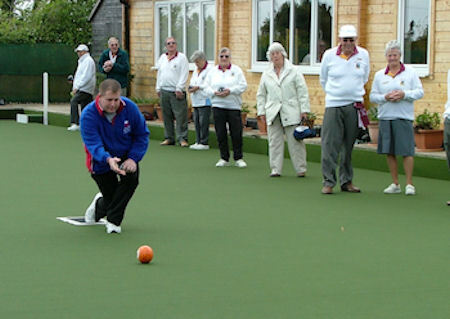 Sixpenny Handley Bowls Club has one of the best lawn green bowling facilities in Dorset. The Club ground with a Synthetic ALL WEATHER Green and a purpose built Club House, is in the rural village of Sixpenny Handley which lies in the heart of the historic and picturesque Cranborne Chase in Dorset. 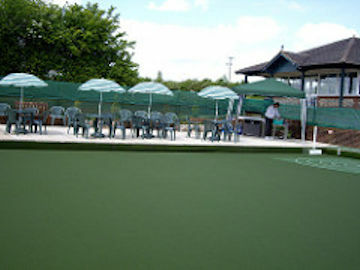 The location, as part of the village Recreational Ground, offers secluded and tranquil surroundings giving ideal conditions for playing bowls. Our carpet type synthetic outdoor green is flat with a consistent playing surface almost guaranteed and the speed and feel is designed to be like grass play but without the severe variances to play you can get from the change in temperature and weather conditions. 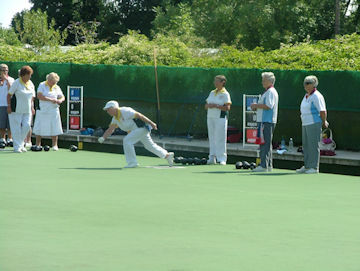 If you are new to Bowls, it's never too late to learn a new skill and, whilst you're in contact with our website, find out more, ask about a trial period and about family membership. 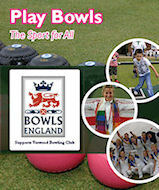 We are keen to encourage younger members - this is not just a game for 'oldies' you know !!! 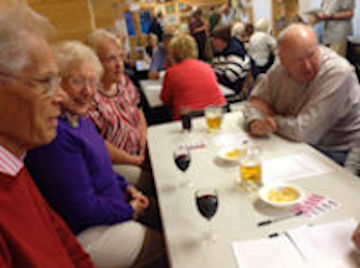 Go to our CONTACT US page now and turn loneliness into 'Fun Time', sport and leisure could open up new horizons and find you new friends - we're a really friendly and sociable bunch at Sixpenny Handley. Car Parking - The Recreation Ground has a very large car park and plenty of space for Touring Coaches. 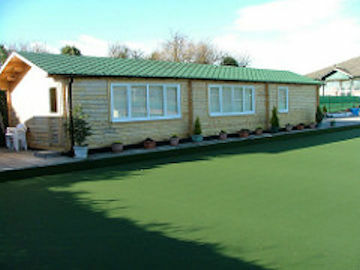 Touring Teams - Come and enjoy playing on one of the finest all weather outdoor bowling greens in Dorset. 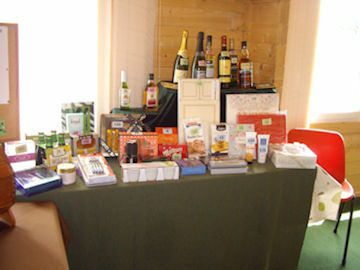 Six rinks, club house, licensed bar, tea/coffee, plus food are available for your comfort and enjoyment. Families - The gentle art of Bowling is great for family involvement with plenty of fresh air and exercise. Our surface is more tolerant than living grass and is the ideal surface for all playing levels including beginners. An added bonus is that younger members, and the not so young, can improve their eye-hand co-ordination whilst having fun. 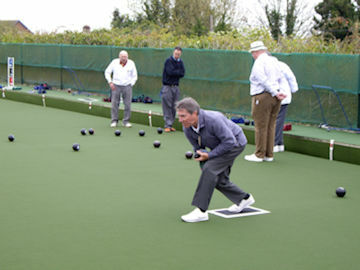 Outdoor Bowls Match Season - Starts in April through to September. 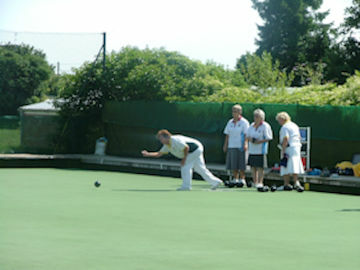 This season our teams are competing in the Westbrook Mixed Triples League and the Bowls Dorset Mens' League Division 3 East at the end of an enjoyable Home game a well earned cup of tea or something a little stronger, plus hot sausage rolls and home-made pasties are available in the Club House. 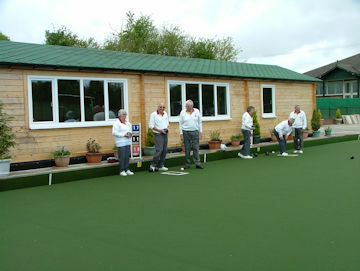 We also hold Outdoor Bowls practice sessions on Sunday afternoon and Wednesday evenings. 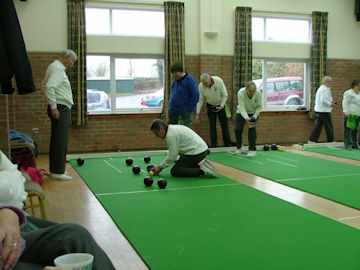 Short Mat Bowls - Played in the Village Hall during the winter months September through to April with two teams, Sixpenny Handley and Tanners, competing in the Blackmore Vale League Division 4 & 5 respectively. 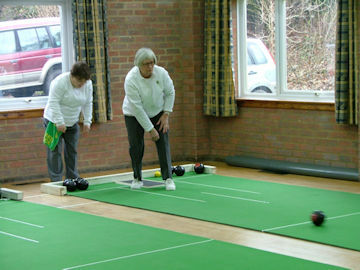 We meet every Sunday afternoon at 2:30pm and on Tuesday evenings at 7:30pm for our Short Mat Bowls practice sessions. The 3 Short Mats available give members plenty of playing time at Club meetings. 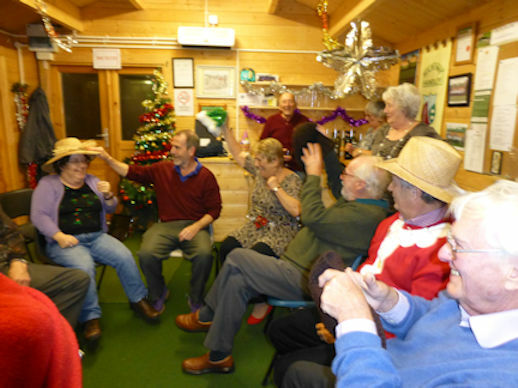 Social Events - We hold various Social Events throughout the year with fun Social Evenings during the winter months. Thank You - For your interest in our Club, if you would like more information or wish find out what membership options we can provide, then please go to our Contact Us page to enter an enquiry or to find contacts details. 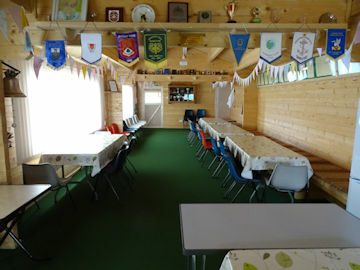 Would you like to look around our facilities or perhaps have a "roll up" with some of our members then please do not hesitate to contact us to ask, we would be very accomodating to any such request and would try to find a mutually convenient time. 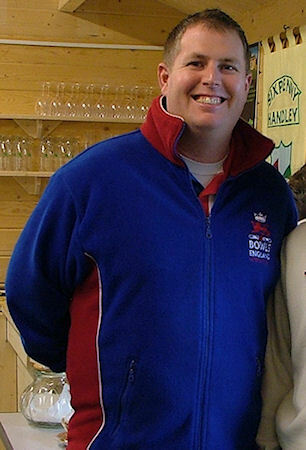 At our annual Open Day in 2014 we enjoyed a very pleasant and informative afternoon with Rob Paxton, the current English World no 2 International Bowler. The weather was very kind to us, even though it forecast rain during the day. It was our first day of the outdoor season on the new Synthetic Green which Dales Sports Surfaces fitted in November 2013. Most of our members and lots of guests came along to watch Rob give us a Master Class in Bowling and then challenged us to games. All six rinks where in use and Rob played about 4 'ends' with each team. 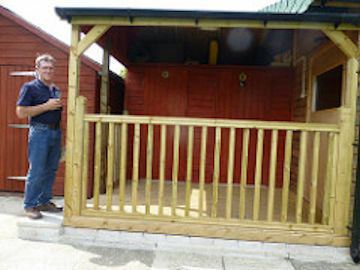 Richard White from Dales Sports Surfaces also enjoyed the afternoon with us and he was most impressed how strong the club is for the size of the village. 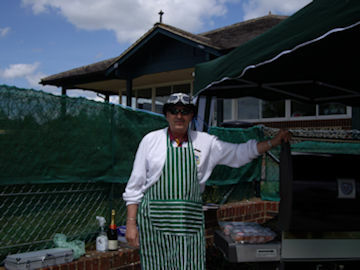 The afternoon was very enjoyable and after a few games of bowls we were treated to a BBQ, refreshments from the Bar, tea & biscuits and a Tombola. After the shakeup of Ranking Points at the end of the season and a not so good season Robert slipped down to No. 6 from last season. Robert will be looking to regain lost points this season and is always a player that fights all the way in his matches and never gives up til the last bowl is played. Robert is one of the players that came through the Professional Bowls Associations hard fought qualifiers to get into the top 16 and having reached there he will not be giving up his space without a hard fight. 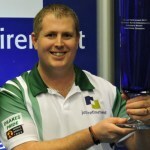 After the shakeup of Ranking Points at the end of the season and with another good season under his belt Robert retained his place amongst the world top 8 players on the Ranking List. With brilliant performances at the 2016 World Indoor Championships to narrowly lose out to an on form Nick Brett Robert was pleased with his performance at the World Championships at the fabled Potters Resort. Robert is one of the players that came through the Professional Bowls Associations hard fought qualifiers to get into the top 16 and having reached there he will not be giving up his space without a hard fight.